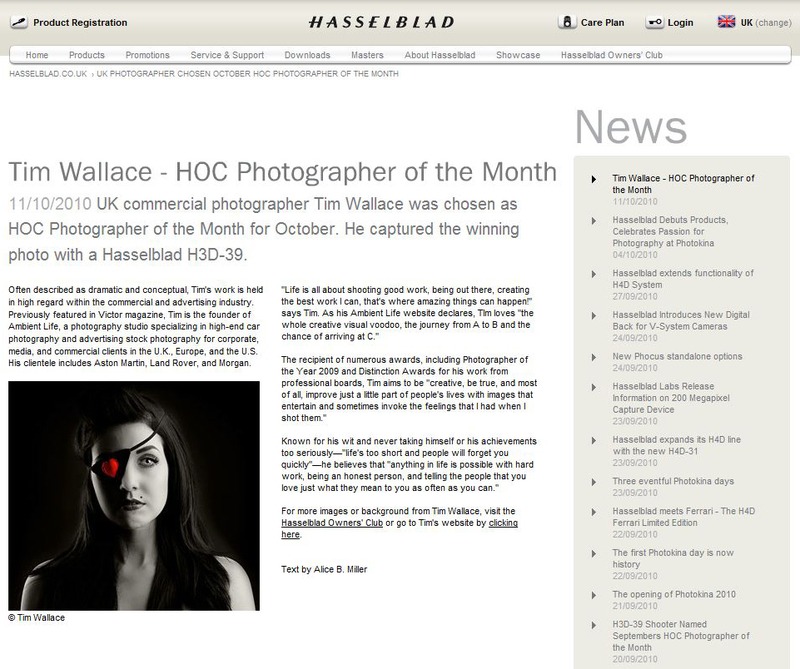 We were delighted to receive word today that Ambient Life photographer Tim Wallace has been awarded Hasselblad Photographer of the month. 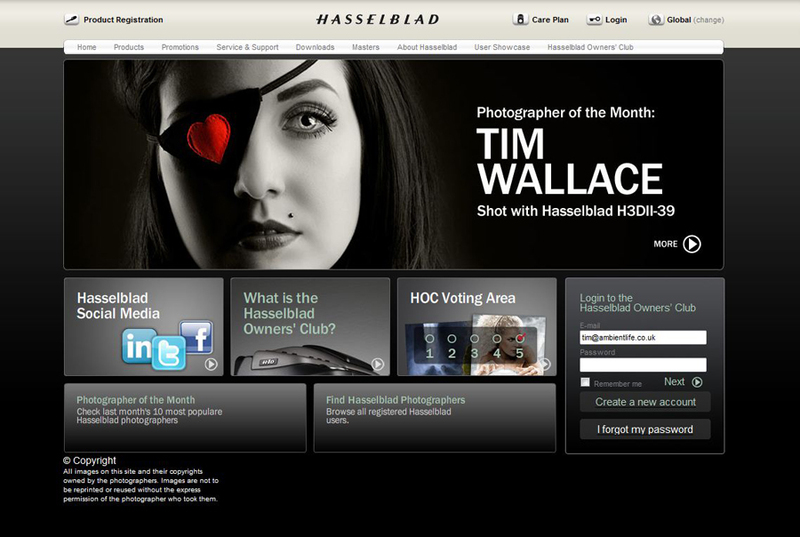 Tim was away shooting in Europe when the news broke and even though Tim is best known for his car photography the award was made for a piece of commercial work he shot recently outside his normal field. The shot was entitled 'Little Miss Innocent' and was part of a project that Tim undertook earlier this year looking at the unconventional use of fur in a retro fashion shoot that Tim had originated as a concept working outside his normal field of car photography.